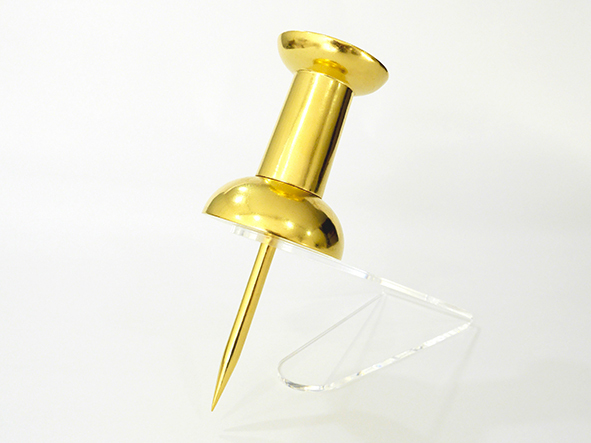 Google pin : gold leaf, wood, GPS tag, 28 x 11 x 11 cm. DataBroker is a private company that does business with addresses of art collectors. These receive dividends when their addresses are sold. It is through the sale of geotagged pins that collected addresses are certified. Putting himself in the shoes of a company who’s business is data processing, Jean-Benoit Lallemant proposes a reflection on this booming economy. In transposing this activity to the field of contemporary art, DataBroker extracts intelligence to help artists to be more competitive !